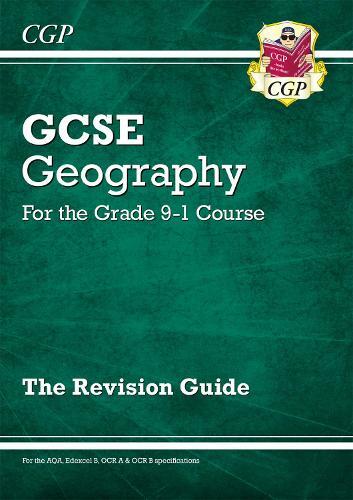 This brilliant CGP Revision Guide explains everything students need to know for success in Grade 9-1 GCSE Geography. It covers the key Human Geography and Physical Geography topics with crystal-clear study notes, easy-to-follow diagrams, examples and case studies - plus exam-style practice questions throughout the book. There are also revision summaries so that students can check they're on track with where they need to be for the exam. To top it off there's useful advice on fieldwork and the new decision-making questions.